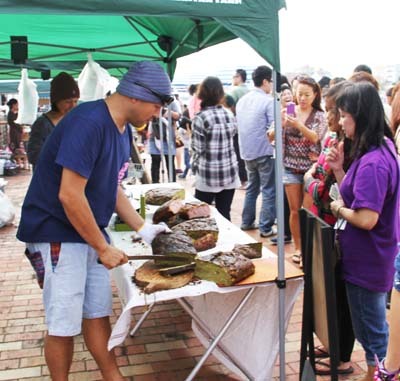 Discovering the taste of new foods is the fun at the Okinawa Food Flea. Nature does not seem to be kind to organizers of Okinawa Food Flea, as Typhoon Goni forced the Aug. 23rd event to be postponed to this weekend, and now another storm, this one named Dujuan, is again threatening the island with inclement weather. So, the organizers went to their calendar once more, and now the event is re-scheduled for next Sunday, Oct. 4th. 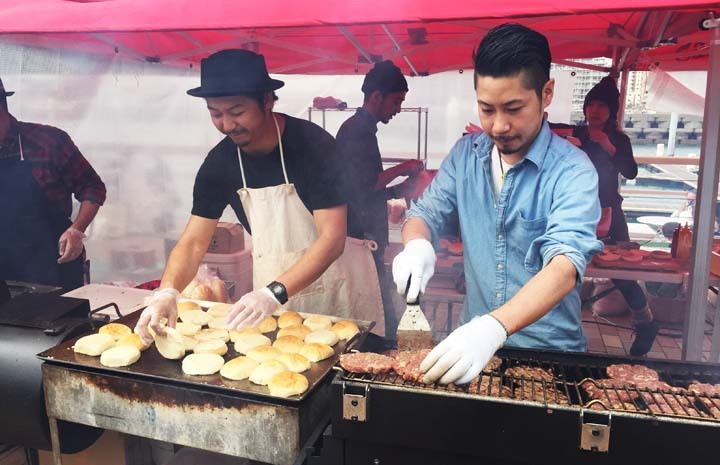 Food at the event is sold both for take-out and to be enjoyed on the spot. The Food Flea is a family fun event featuring live entertainment, a handicraft market and, of course, food items of every imaginable kind. Many of them are novelty products that their creators are bringing to the public for the first time. Small stores and shops that make delicious products using top quality ingredients, but are known only among people, who have a palate and passion for special treats, set a shop at the event. Among them are a café specializing in Thai food, a popular ‘yatai’ food stall that is open only at night-time on a parking lot next to Okinawa Bank Head Office in Kumoji, Naha City, a bakery that sells additive-free bread made using wild yeast, a popular hamburger shop from Nago, a gelato shop and others. There are more than 50 stores taking part. This being a true flea market, there is a musical instrument store, furniture shop and fabric store as well. Music live performance is planned to take place.